We’ve even made it onto Google StreetView! Tea & Coffee is generally available within the building! Snacks ranging from chocolate to hot bacon muffins are available from our favourite corner shop – Ashbank Stores – open most days from 10am (or earlier!) till late. Gaynor & William also sell milk & other drinks (alcoholic and non-alcoholic) including tea & coffee if you can’t be bothered to brew your own! 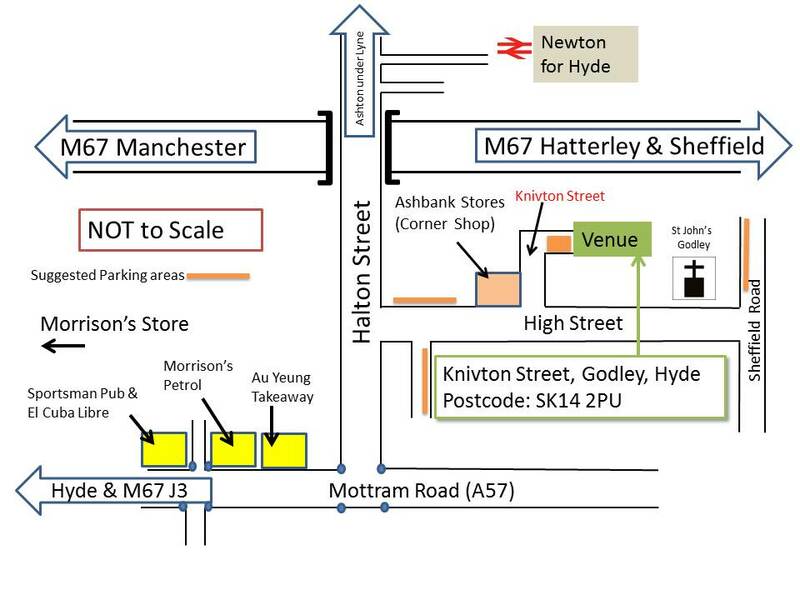 Alternatively, you can walk further afield to Morrisons in Hyde. There are also a number of local Chinese Chippys (Au Yeung on Mottram Road is pretty good).